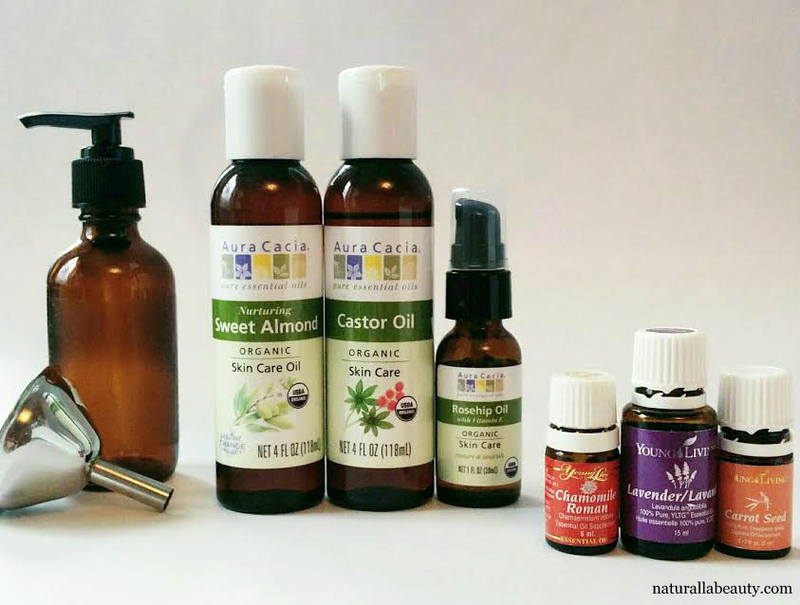 Oil cleansers are one of my favorite products to DIY because they're just so darn easy to make! I concocted this particular blend about two months ago and after whipping up a new batch this morning, it seemed like a good time to share the recipe here. Almond oil makes up the bulk of the cleansing oil, chosen because it's supremely gentle and nourishing, and wonderful for sensitive and reactive skin. Castor oil is an oil cleansing classic that's fantastic for balancing oil production and really deeply penetrating into the pores and removing any debris or build up. Rosehip oil adds an extra boost of vitamins and antioxidants and is excellent for evening out skin tone and fading scars. I use cleansing oils to remove my makeup and as a first cleanse, and that's exactly how I use this one. You could absolutely use it by itself to. It's a non-emulsifying oil, so whether or not you use a second cleanser, you'll need some kind of face cloth or sponge to properly wipe the oil off your skin. Combine all ingredients in a (preferably glass) jar and shake gently to combine. To Use: Massage oil onto a dry face and softly work into skin for 1-2 minutes. Gently wipe oil off with a warm damp washcloth, konjac sponge, or face wipe. Follow with another cleanser if desired. What a great combination of oils - I bet it smells lovely too.